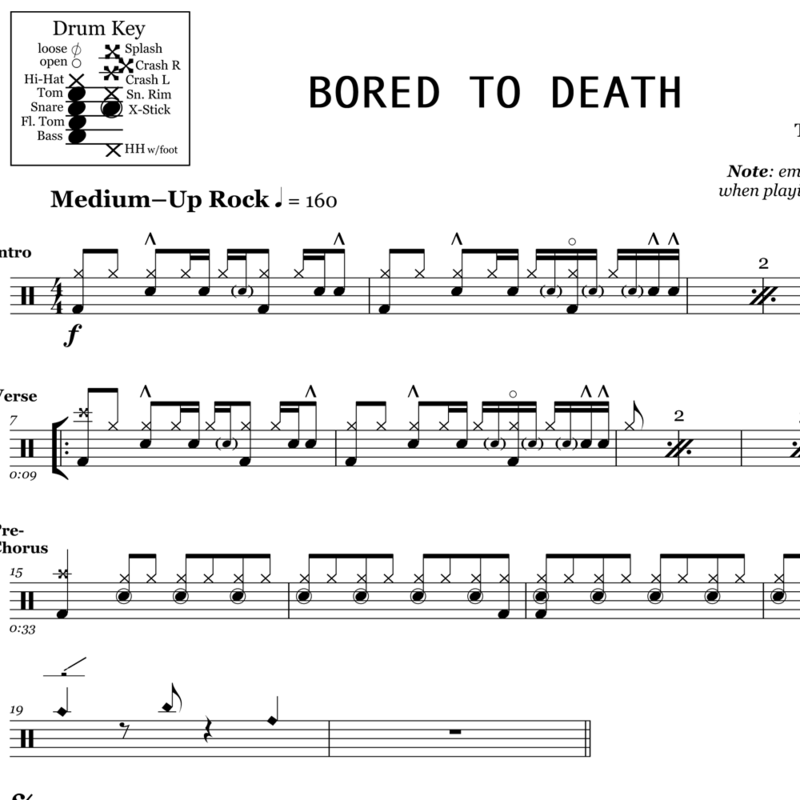 The full drum sheet music for “Adam’s Song” by Blink 182 from the album Enema of the State (2000). 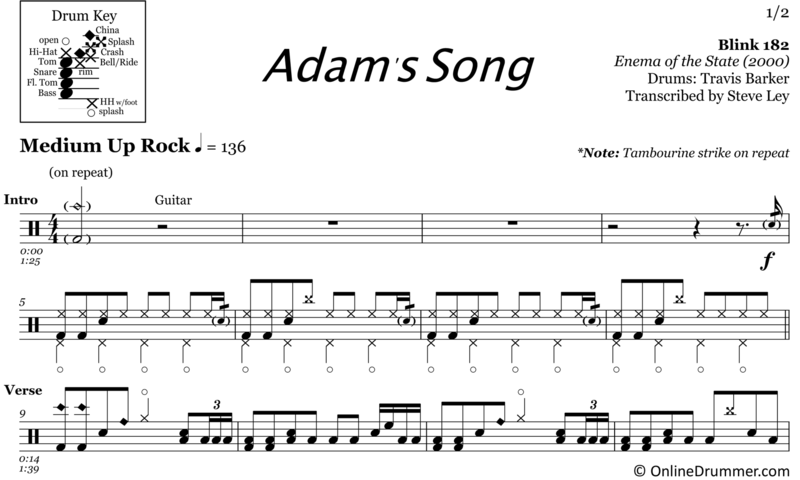 Throughout the verses of “Adam’s Song,” Travis Barker brings out all of the bells and whistles — open hi-hats, chinas, splashes, ride bells — a true “octopus arm” drum part. 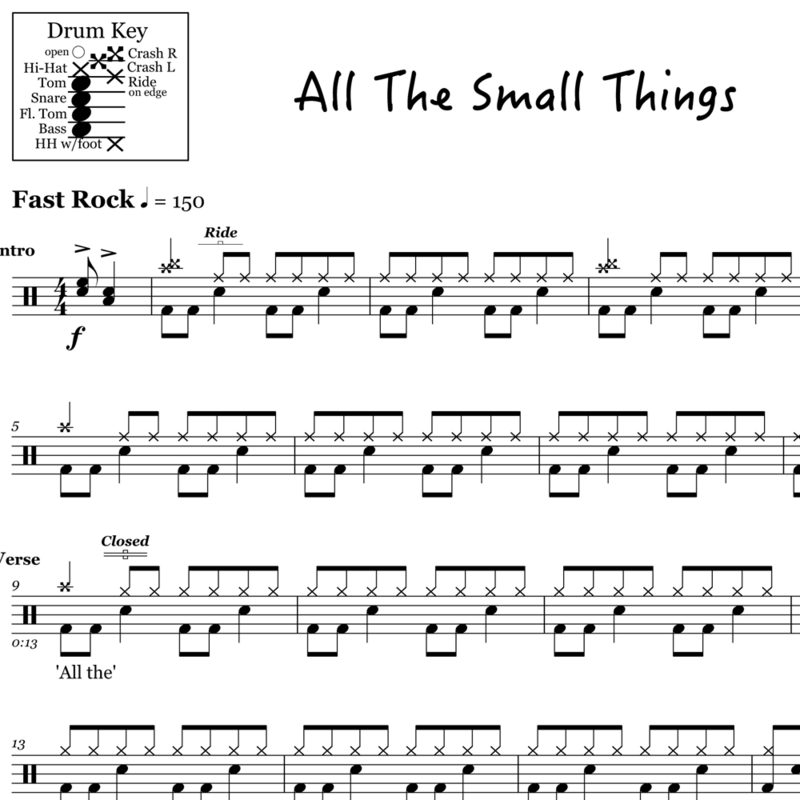 Barker gets his march on during the bridge, nailing some full-beat, 7-stroke rolls and 4-stroke ruffs (not to mention the accented flams). 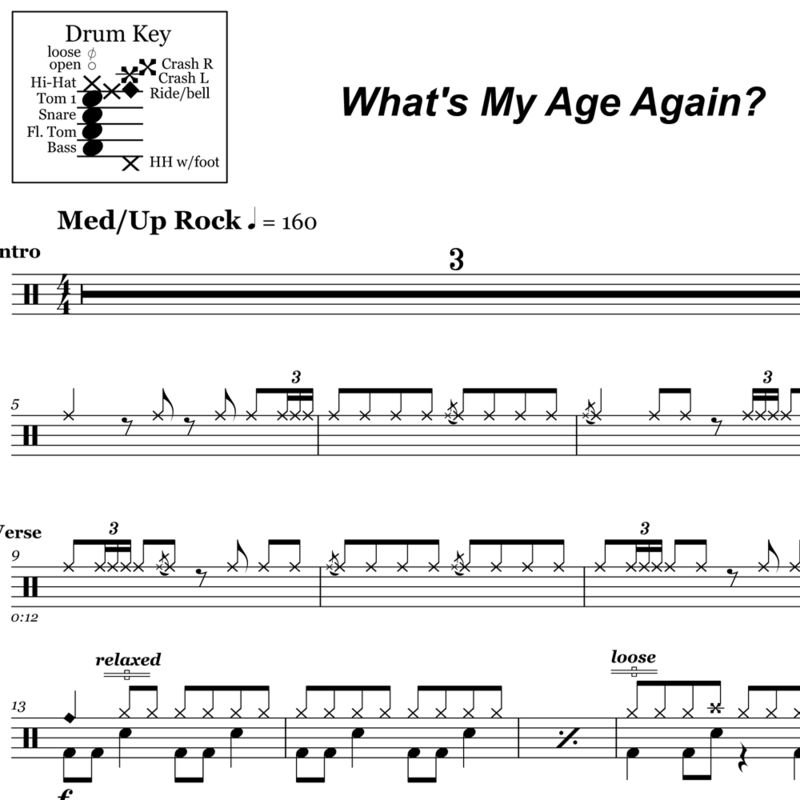 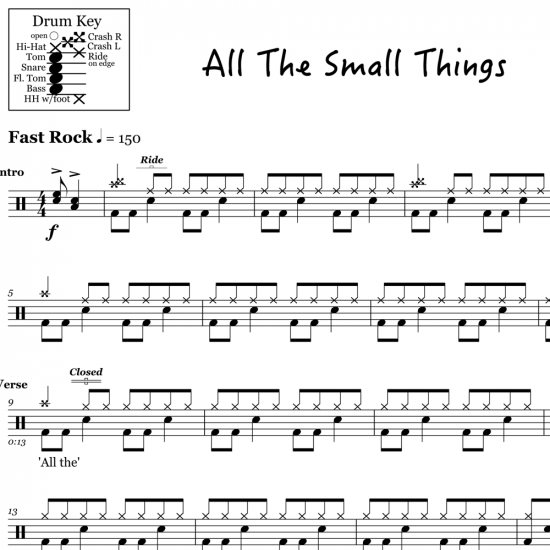 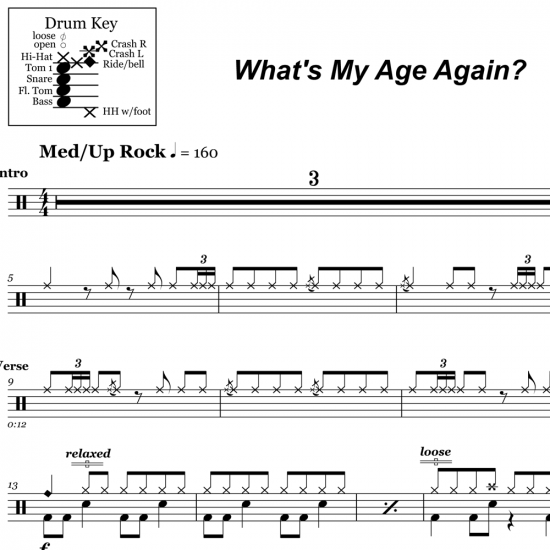 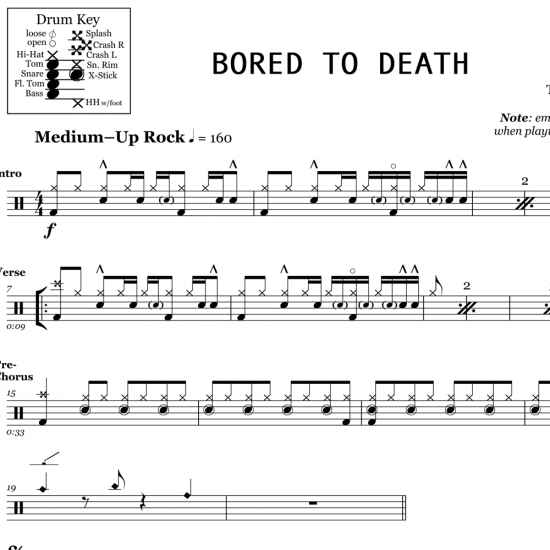 All in all, this is a fun drum part to play that will keep you moving and entertained.